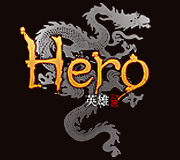 In Hero Online, pets can either help the player to fight or can be used as mounts. Pets levels up along with the character and changes its looks as they level up. Also, pets must be fed when they are hungry, because loyalty of the pets goes down if the hunger persists. Pets will leave their master once the loyalty reaches 0. There are 4 types of pet behaviors, which players can adjust by their needs. Focuses on protecting master. It engages combat on its own as well. A pet can either be purchased at the shops or tamed by the hunter class. Pet food is used to feed the pet for hunger and loyalty. There are different foods available for different types of pets. Pet foods are sold in Taverns.